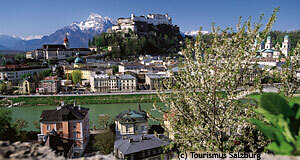 Salzburg is a UNESCO World Cultural Heritage Site and packed with things to see. To help you prioritise the attractions of the city, we have put together our personal top-10. We think these sights will be the most appealing to international tourists and are ideal for two or three days in Salzburg. Note also our section on vacation advice, which includes suggested itineraries and special advice for highlights of every season, arranged by months. Salzburg Interactive: 10 "Must Do′s"